With a life-long appreciation for and experience in art and architecture, Ann Baxter is able to combine both in her designs for original glass art. Her background in drawing and painting, as well as past work in clay, wood and metal, has allowed her the ability to integrate many different elements into the fabrication of glass designs. Custom and stock bevels, textured clears, stained glass of unlimited colors and density, sand blasting/etching, painted and kiln-worked glass all contribute to the options available in producing glass art that blends in seamlessly into its environment. With good design as a starting point, the focal point window, backsplash or door panels will be a good fit and a treasured addition to any home, church, or business. Established in 1987 as Harvard Art & Glass Works, and renamed Baxter Glass Art in 2002, our team has been dedicated to the professional application and fabrication of glass art for over 25 years. Working together with homeowners, architects, builders and designers, we have produced a wide range of finished products ranging from door panels, sidelights, transoms and windows to mosaic portraits and glass tiles in designs, colors and textures to suit any personal or architectural style or period. All designs are original, making our pieces truly one-of-a kind. 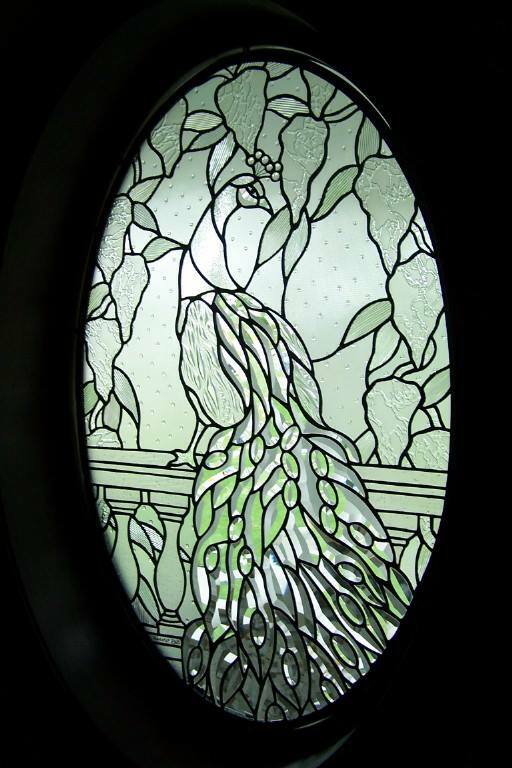 Providing quality original designs in traditional stained and leaded glass for residential and commercial projects in Metro Detroit. Our work includes creation of new works and restoration of existing glass. With each and every project our goal is to produce glass art that looks good, fits well, and is built strong. Sometimes the journey from the start of a project to the end is almost more fascinating than the finished product. We really DO love what we do, and hope that you will, too.